The music above and the transcription below are from Cheerful Message, Compiled and Edited by Geo. W. Sebren, The Sebren Music Co., Asheville, N. C., c.1926. Rev. J. Haskell, arr by J.D.V. The holy ones, behold they come! 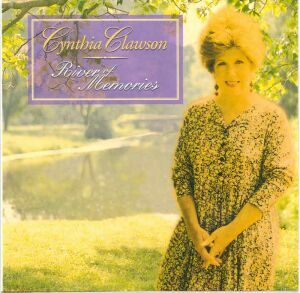 Here is a recording of Angel Band by Cynthia Clawson from her CD, River of Memories, Chapel 3306, 1994. Normally I would encourage you to buy the album if you like the song, but so far, I have been unable to find it for sale anywhere ~~ maybe it would be available from a Christian Bookstore. The J.D.V. 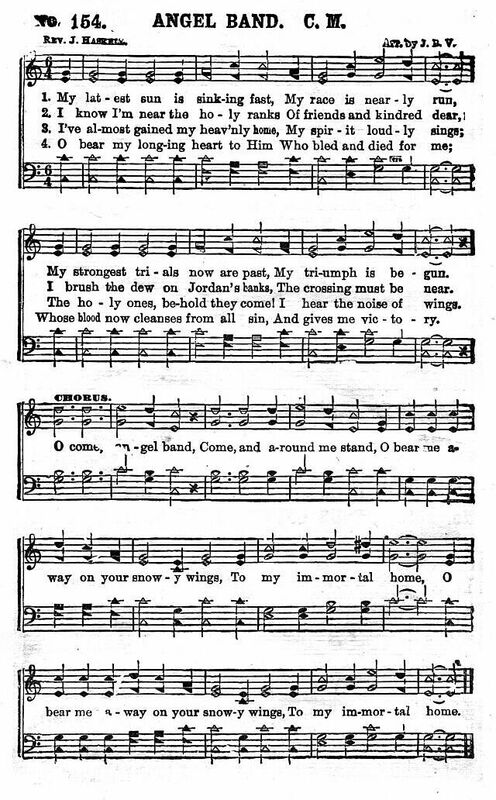 listed as arranger would be James D. Vaughn, noted writer and publisher of gospel music.